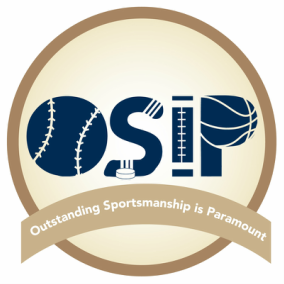 Sportsmanship Signs - The OSIP Foundation, Inc.
Now you can have signs just like this at your local athletic complex! 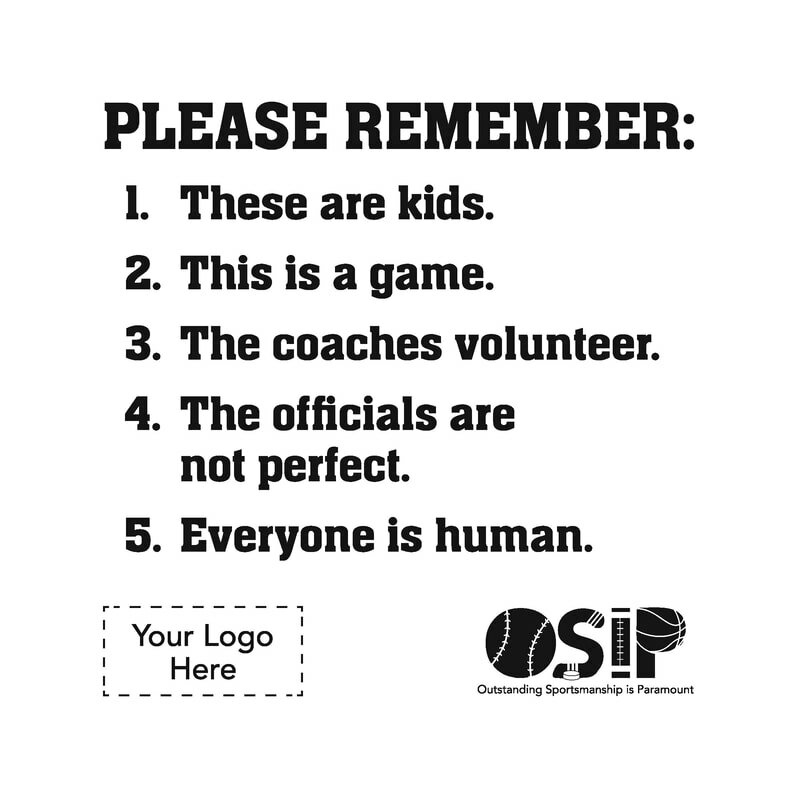 OSIP customizes and designs these signs to fit your needs, including matching the color to your teams and inserting your logo on the bottom. We also have a few options for the fifth option on the sign, as some people like to spice it up! If you're interested in having signs like these at your complex, please contact us to discuss pricing! We work with leagues all the time to find the best price possible for these signs so that budgets are respected, just like the players, coaches, fans, and officials on the field!